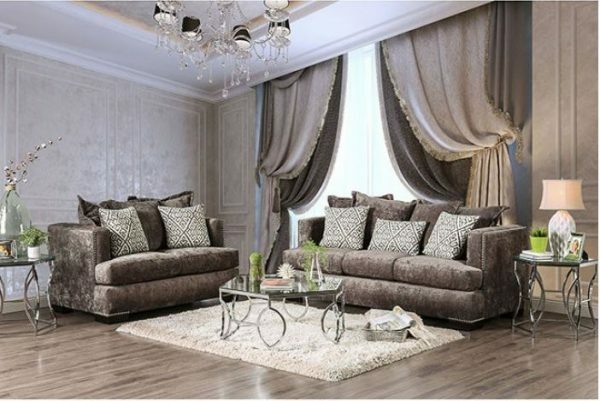 Decorate your living space with this dazzling contemporary style sofa set. The silver chenille upholstery and nailhead trim both shimmer in the light for a superbly glamorous design. The plush loose back pillows are paired with maze print accent pillows for a fun, modern appeal. A stylish addition to any home, this sofa collection will provide the comfort and style every good home needs!